Cleaning your car is a hassle and frankly quite expensive. But you don’t have to break the bank to make sure that your beloved vehicle is clean and spotless. By simply scouring your kitchen and cabinets, you will discover a treasure trove of items that could double as cleaning supplies. You can start by checking out the ten things below. 1. Baking soda is perfect for removing grime and stains without being too abrasive. Create a loose paste by mixing baking soda to hot water. Apply this to your dirty seat belts or any of the interior upholstery. Scrub gently, rinse with water, and air dry. You can make use of the mixture for your car’s exterior as well. 2. 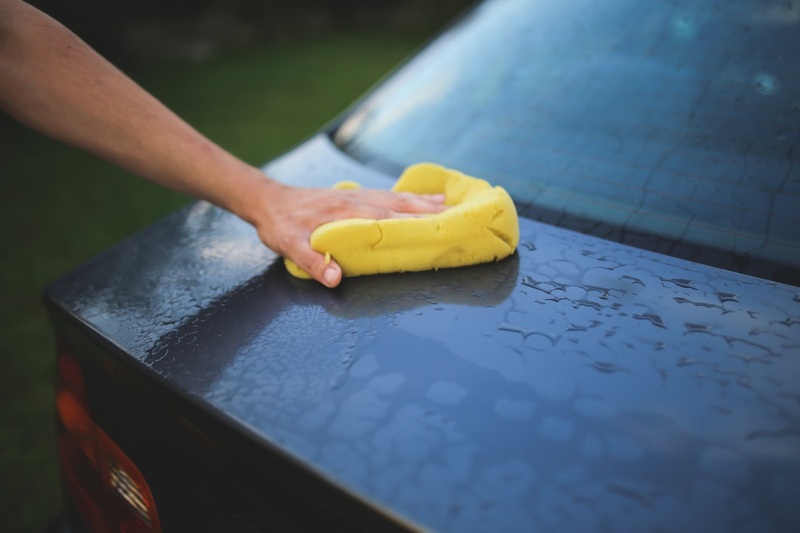 Dishwashing liquids diluted in a bucket of water are good and inexpensive alternatives to car soaps. Bath soaps, preferably those with vegetable oil as base, can also be used. Mix a quarter cup of soap to a gallon of hot water. Gently wash the exterior with a sponge. For the tires, use a stiff-bristled brush. 3. Vinegar has got to be the most versatile liquid when it comes to cleaning-related hacks. Its uses range from deodorizer to cleaning spray for windshields and upholstery. Combine vinegar and water with a three-to-one ratio in a bottle. Spritz on your chosen surface, and wipe with a smooth cloth after to reveal a shiny finish. 4. Essential oils can be used as base for a DIY car air freshener. This is a fun project you can undertake on your own or with kids if you’re already a parent. Fill a mason jar with baking soda, and add several drops of your favorite essential oils. Experiment with different scents according to your preference. 5. Rubbing alcohol is for cleaning the center console and hard surfaces. With a fine cloth, lightly dab the stain with alcohol. Don’t rub as it may cause discoloration or thin out the material. Be careful with the amount of alcohol you use because you might end up bleaching your car interiors. 6. Toothpaste is most often used as a cheaper alternative to fix foggy headlights. Simply apply and scrub a generous amount of toothpaste to the headlights until you see its plastic casing free from grime and dust. Wipe the excess away with a wet cloth. 7. Dryer sheets can help freshen the air inside your car. Place them in strategic locations such as under your floor liners, in storage spaces, and beneath the seats. Just like what it does to your laundry, dryer sheets add a surprising burst of fragrance in your car. Some people even use it for pest control. 8. Cornstarch can do wonders for your car windows. Create a solution of half a cup of cornstarch and four cups of water. Spraying this on the glass and wiping after with a clean cloth will result in a spotless window. If you have oily stains on your upholstery and floor mats, which are extremely hard to clean, sprinkle cornstarch and leave it there for about thirty minutes. The cornstarch will absorb the grease. 9. Olive oil creates an outstanding dashboard shine. Spot test the olive oil in a hidden area first before doing the entire thing to make sure that no discoloration happens. 10. Laundry detergent will make your car seats look brand-new. It’s obvious when leather seats haven’t been cleaned for a while because dust accumulates in the tiny crevices. Mix one part of your preferred laundry detergent to ten parts of water. Spray the solution on the seats, and let it sit for a while before thoroughly scrubbing and wiping the excess off. How Much Space Do You Really Need in Your Home? Half PayBack For Fashion @ LuLu!